States located in difficult terrain have been given relaxation and must upload the FIRs within 72 hours. In a path-breaking judgment, the Supreme Court on Wednesday directed that the copies of the FIRs, unless the offence is sensitive in nature, like sexual offences, offences pertaining to insurgency, terrorism and of that category, offences under POCSO Act and such other offences, should be uploaded on the police website, and if there is no such website, on the official website of the State Government, within twenty-four hours of the registration of the First Information Report so that the accused or any person connected with the same can download the FIR and file appropriate application before the Court as per law for redressal of his grievances. The Bench clarified that in case there is connectivity problems due to geographical location or there is some other unavoidable difficulty, the time can be extended up to forty-eight hours. The said 48 hours can be extended maximum up to 72 hours and it is only relatable to connectivity problems due to geographical location. The Bench comprising Justice Dipak Misra and Justice Nagappan gave the landmark judgment in a petition filed by the Youth Bar Association of India for issuance of writ in nature of mandamus, an order or direction directing the respondents to upload every First Information Report lodged in all police stations within the territory of India on the official website of police of all states as early as possible, preferably within 24 hours from the time of lodging of such an FIR. Also Read All the 10 Guidelines issued by Supreme Court in this Case. 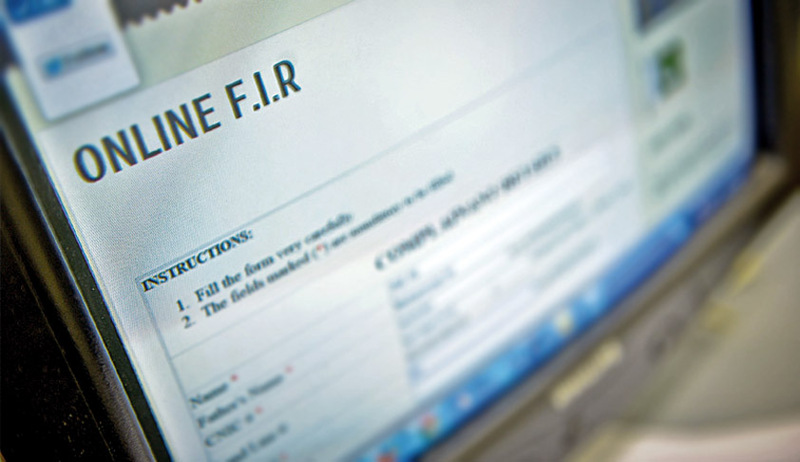 The petitioner averred that the FIR is a public document; however, it is not an easy task for the general public to obtain a copy of FIR from the police. Therefore, if the FIR is put on the website, it would be in the larger public interest and the same will also avoid many difficulties being faced by the general public. In November 2015, the Allahabad High Court had directed the Uttar Pradesh government to ensure that all FIRs be uploaded on the website of the UP Police, except in exceptional circumstances, “where the need to preserve the identity of the victim, the course of proper investigation, the protection of witnesses and other aspects involving a predominant consideration of public interest may warrant the FIR not being uploaded on the website”. The High Court of Himachal Pradesh had also directed the police to upload the copy of First Information Report [FIR] in the Website within 24 hours of lodging it, from January 26, 2015. Earlier in 2010, the Delhi High Court had also issued directions in this regard, in the case of court on its own motion vs. State, Writ Petition (Crl.) No. 468 of 2010. Speaking to LiveLaw Sanpreet Singh Ajmani- National President Youth Bar Association said: "Interest of litigant is supreme.By bringing FIR within the public domain, accused n his family members would be able to take recourse to law at an earliest." "This judgment would be the mile stone in the history of criminal jurisprudence of our country." said Peeyush Bhatia- State President of Association, Delhi & Chattisgarh.